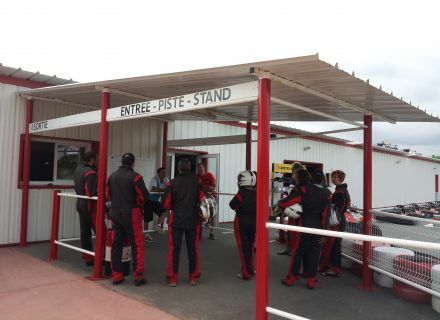 Home / Le blog / Evening of cohesion in the karting for the team of the Tourist office! 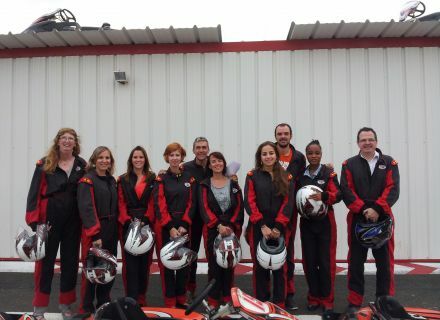 Evening of cohesion in the karting for the team of the Tourist office! The strong sensations and I, that makes two, but when we suggested me making some karting, I said to myself that it was the moment when never and that I had to exceed my apprehensions! Meeting is taken one Thursday evening, at 7 pm, to Bessines. 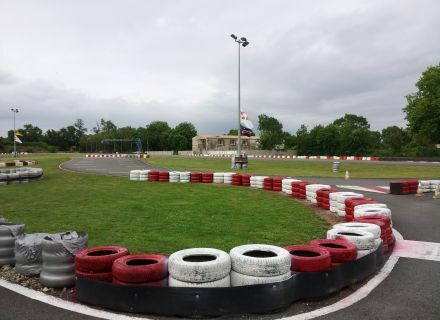 Arrived time, the person in charge of the Speed Fun Karting invites me to join cloakrooms to put on a combination and a helmet. I do not hide you that it is not one of the dresses most glamours which we can carry, but the equipment reassures me a little and prepares us. 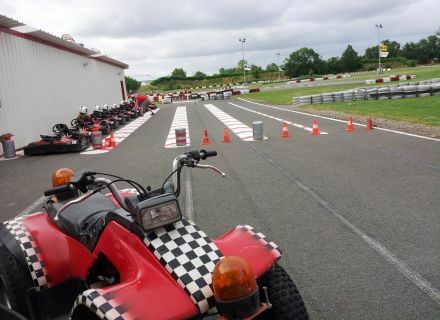 Then, direction paddles to discover the circuit and the some safety regulations, as, for example, avoid striking the competitors, raising the hand in case of problem to the circuit (Callage, nonsense). For the functioning of the kart, much to my delight, there is nothing more simple: the right pedal to accelerate, that of the left to slow down. Rest more than to sit down on the kart and it left! The sensation is rather special at first. Indeed, the vehicle trembles of everywhere what is not to comfort me, even if we assured us that the kart could not turn around. The first tours make hesitating, then, little by little, I understand the principle and the circuit. 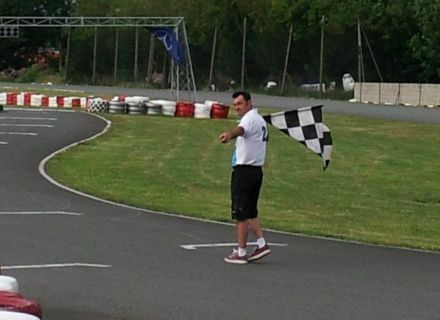 The person in charge shakes the checkered flag to indicate us that it is necessary to return in the paddle. The first ten minutes pass finally rather fast, even if I am in the last ones, because all other colleagues or almost have already doubled me! I decide to begin again for the second series of ten minutes. And there, I feel at once more comfortable and I manage even to improve my time of 20 seconds! 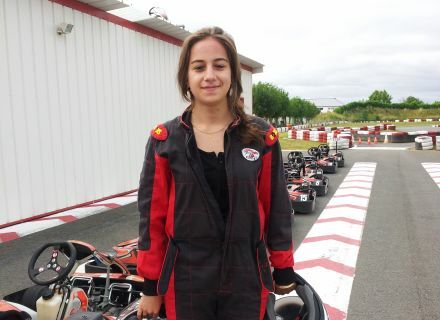 Surprise, I adored the karting. I advise you to go, besides your prejudices, and to make out a will at least once. You will want to return to it afterward!